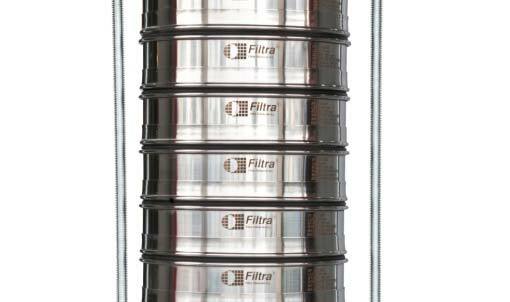 enable continuous or intermittent sieving. Bakelite tightening knobs and methacrylate lid. Type of sieve shaker: Electromagnetic. Voltage: 220/240 V - 50/60 Hz. 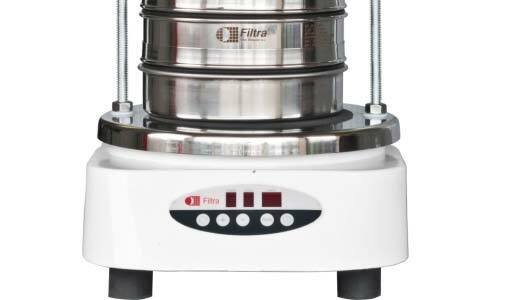 The FILTRA electromagnetic sieve shakers are used in research and development, and in quality control for production processes, both for raw materials and intermediate and finished products. 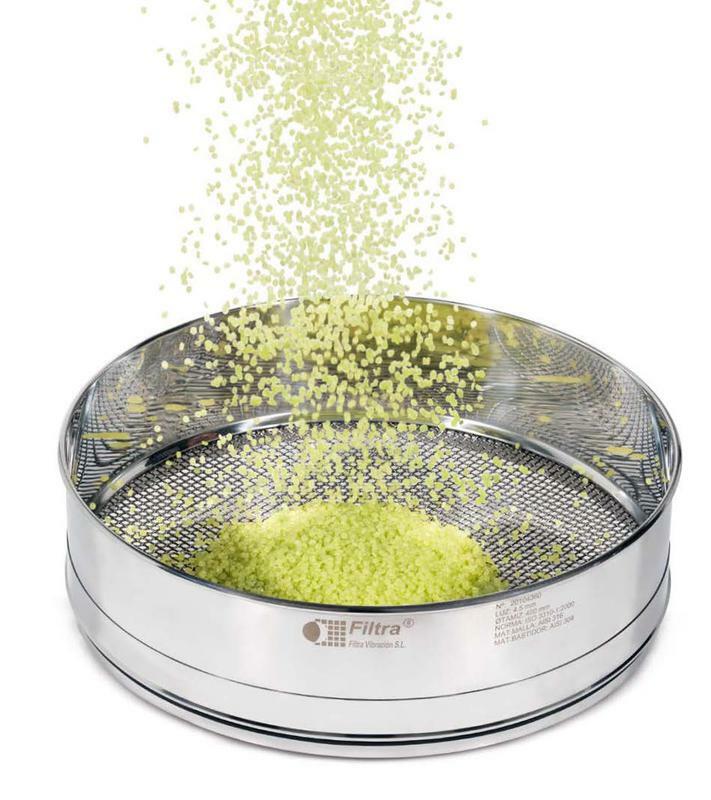 Thus a faster, more effective sieving is achieved through the whole sieve column.Ø for samples from 25 gr to 25 kg of product. The particle size to be analyzed can range from 25 μ to 125 mm. (from 0 to 99 min.) and the sieving mode; continuous or intermittent. 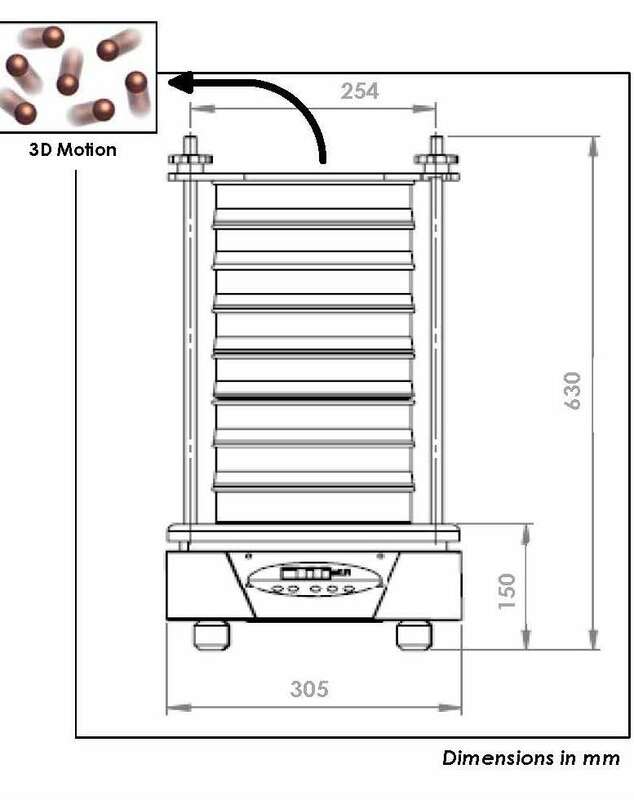 with the anchoring system, ensures complete stability during the sieving. observing the product during the sieving process easy.